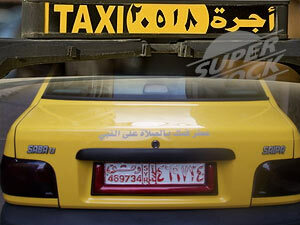 Taxis are plentiful in Damascus. Some, however, are in terrible condition whilst others are shiny and new. The major advantage that this mode of transport has over others is its affordability. Most of the attractions are located within close proximity of each other so the cost of taxi rides generally ranges from S 25 to S 50. If travelling longer distances tourists should make sure the taxi is metered and that the rate is agreed to beforehand. These yellow cabs sport a green light when they are available and a red light when occupied.